Samford University has announced a new scholarship to honor long-time Baptist minister of music Robert B. Hatfield. Hatfield has served at Dawson Memorial Baptist Church near the Samford campus for 35 years. Friends of Hatfield are leading fundraising efforts for the Robert B. Hatfield Scholarship for Excellence in Music Ministry. An anonymous donor has provided the initial $1,000 gift to the project. Named scholarships require a minimum $25,000 endowment, according to university officials. Priority will be given to academically-qualified students pursuing a degree in music and worship who have demonstrated a calling to vocational music ministry, according to Joseph Hopkins, dean of Samford's School of the Arts. Other criteria reflect Hatfield's life and ministry and include a commitment to serve in local and global contexts and an interest in multi-generational music ministry. Birmingham financial planner Phillip Inman, a 1977 Samford M.B.A. graduate, is one of several church lay leaders helping with fundraising. "This is personal for me because my wife is in the [Dawson] choir and my daughters came up through Bob's children's and youth choir ministries," Inman said. "He has been an important person in my family's lives, and he is a wonderful example for all of us." Inman said that church leaders hope others who have been impacted by Hatfield's ministry will want to participate in funding the scholarship. "When I think about those who have impacted my spiritual life, I think of Bob," Inman added. "When we began thinking about the scholarship, I asked, 'Who will be the next generation's Bob?'" Inman noted that Hatfield or a member of his family will be involved in the selection process to ensure that the scholarship recipient is "representative of the Christian framework [Hatfield] has had for his ministry, his life and his family." Hatfield received a bachelor of music degree from Samford in 1971 and later earned a doctor of ministry degree in 2001 from Samford's Beeson Divinity School. He previously was on Samford's adjunct faculty teaching music and worship. Hatfield's son is a minister in Huntsville, Ala., and is completing his D.Min. at Beeson. 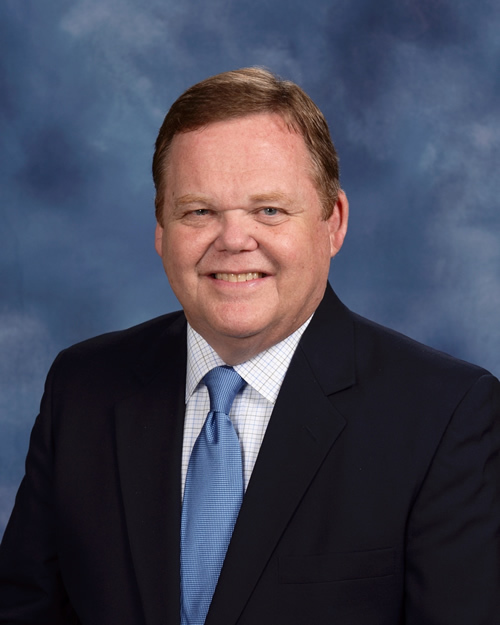 W. Randy Pittman, Samford's vice president for advancement, praised the initiative to honor Hatfield and said the scholarship project would be an inspiration for other churches who want to honor a long-time minister. "What a wonderful example of a church that will perpetuate long-time, meaningful ministry far into the future by honoring one whose life and ministry already have touched thousands," Pittman said. "It also affirms the strong, decades-long relationship that Samford has had both with Dawson Baptist Church and with the Hatfield family."